In the second of two Elite League Championship winning special podcasts, the lads are joined by Head Coach Adam Keefe who answers YOUR Fan Agenda questions. We cast out eye over March's Player of the Month nominees. The Belfast Giants are the Elite League Champions 2018-19! Paddy might be away but as Freddy Mercury (Black) said, "The Show Must Go On"
In a week that witnessed the Giants qualify for the Semi-Final of the Challenge Cup and Darcy Murphy put 4 goals by the Storm in Altrincham, A View from the Bridge discusses these and the defeat in Glasgow on Saturday. Four points taken from two overtime victories means that there was a lot of excitement from the weekend for the Belfast Giants. Blair Riley and Adam Keefe join us to discuss the on-going victories on the road. Adam Keefe and Lewis Hook join the lads to talk about the current tough times at the Belfast Giants. 3 defeats in a week, but lets not be down-hearted! A View From The Bridge is back to give opinion on what went wrong against Nottingham and Fife. 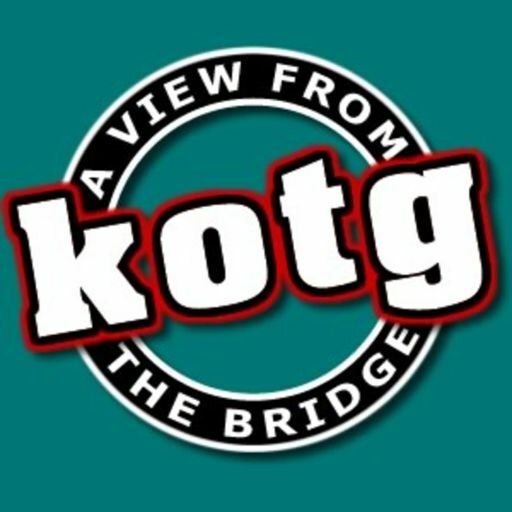 Belfast Giants are 4 from 4 in the Challenge Cup and we have a bumper edition of A View from the Bridge to look back at the weekends victories. Liam Kirk, Derrick Walser, Rob Wilson and Andrew Verner are all guests in a special A View From The Bridge. After a longer hiatus than usual, AVFTB is back and has brought the name of the latest signing on the Belfast Giants roster. The Belfast Giants quest for silverware is now over and in the last podcast of the season it’s just Patrick, Simon and Davy talking over the quarterfinals against the Nottingham Panthers. After the Giants took a thumping victory over the Fife Flyers, Simon, Davy and Patrick convened to cast an eye over the weekends performances against Braehead and Nottingham. The Belfast Giants are the Challenge Cup Champions of 2018 and this week on A View from the Bridge we look back at Sundays game in great detail. Ahead of the big game on Sunday, the lads reflect the precursor by casting their eye over the games last weekend against the Steelers and our Cup Final opponents, the Cardiff Devils. The AVFTB team are joined by Joel Neil to look back at the Challenge Cup victory over Nottingham, and the split 6 point weekend against Cardiff.